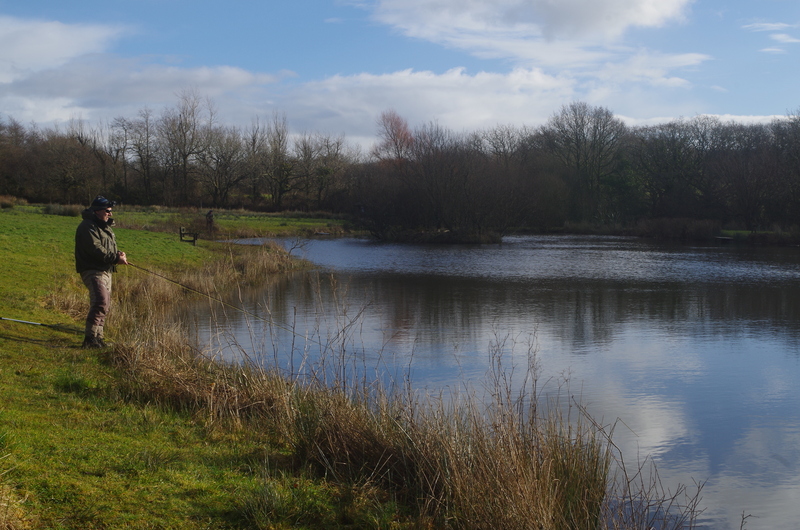 Simpson Valley Coarse and Trout Fishery is set in a peaceful valley near Holsworthy amid over 140 acres of farmland. 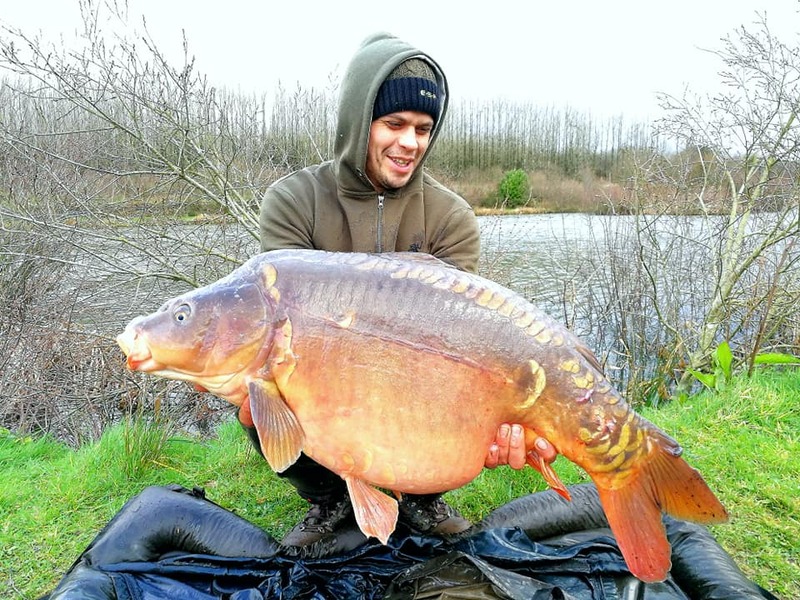 The complex boasts several lakes that hold a variety of species that can be targeted using a wide variety of tactics. 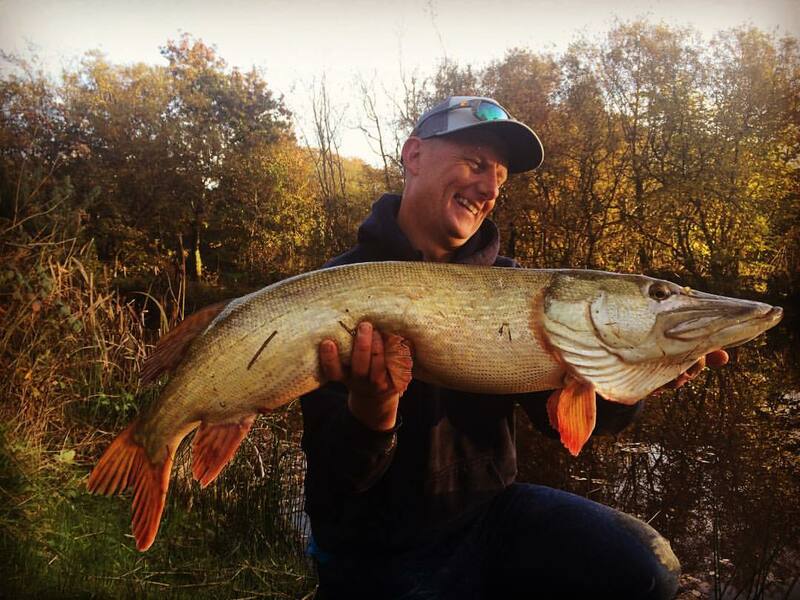 I visited the venue with Snowbee tackle representative Jeff Pearce in the hope of contacting one of the venues big pike on fly fishing tactics. 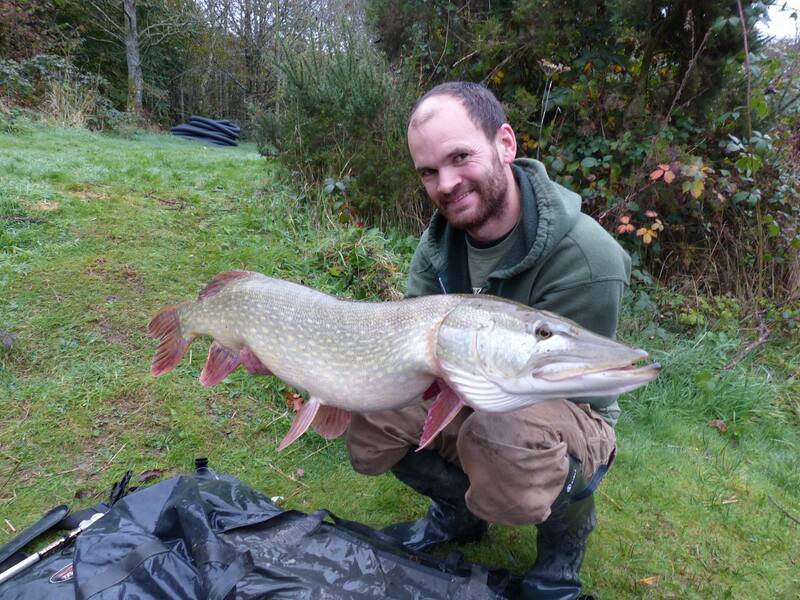 Mallard lake has been stocked with a good number of pike the biggest nudging 30lb with several topping 20lb. 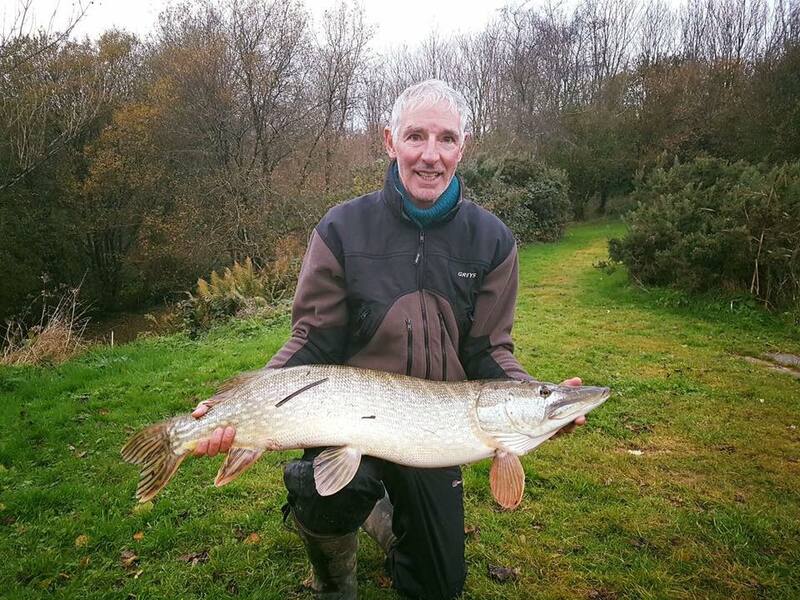 The pike proved reluctant to play the game so we enjoyed an interlude in our predator hunt and targetted the trout of Jenny Wren Lake where I was delighted to catch my first tiger trout and a stunning rainbow of around 4lb that gave a terrific scrap in the cold water. 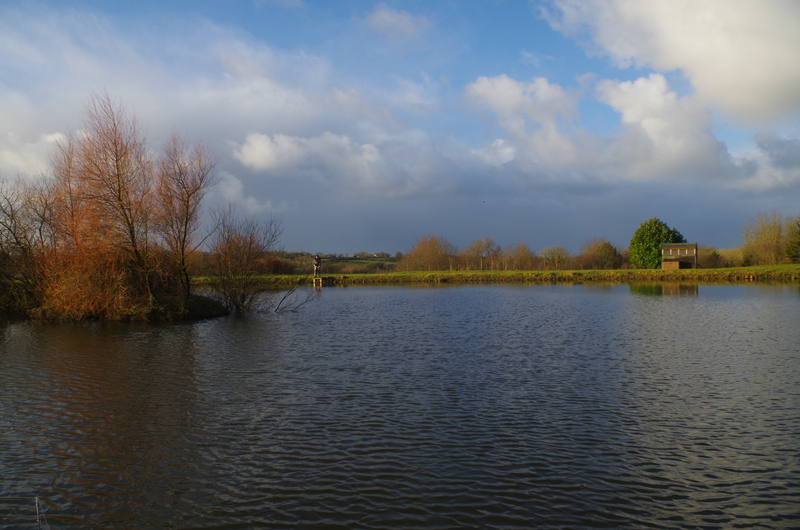 We were joined at Jenny Wren’s fishing hut by fishery Manager Andrew Moore who made us a welcome hot cup of coffee. Andrew chatted enthusiastically about Simpson’s Valley and of its fishing and plans for the future. 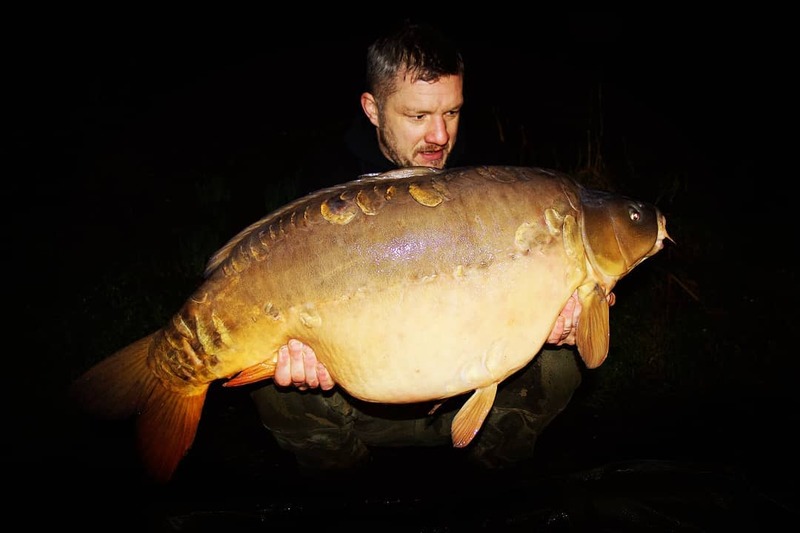 The five lakes on the complex offer pike to thirty pound, carp to 35lb, along with specimen perch, eels, chub,trout and other species. 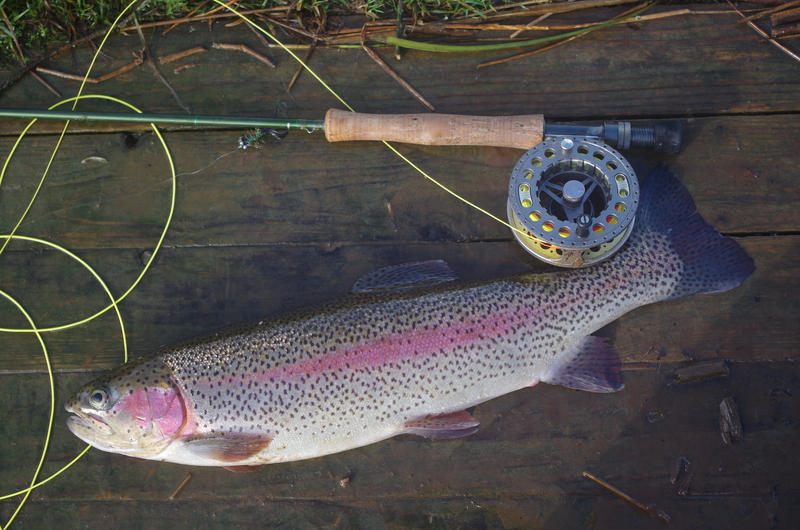 There is a unique opportunity to target rainbow trout using LRF tactics on Skylark lake where catch and release is permitted during the winter months. 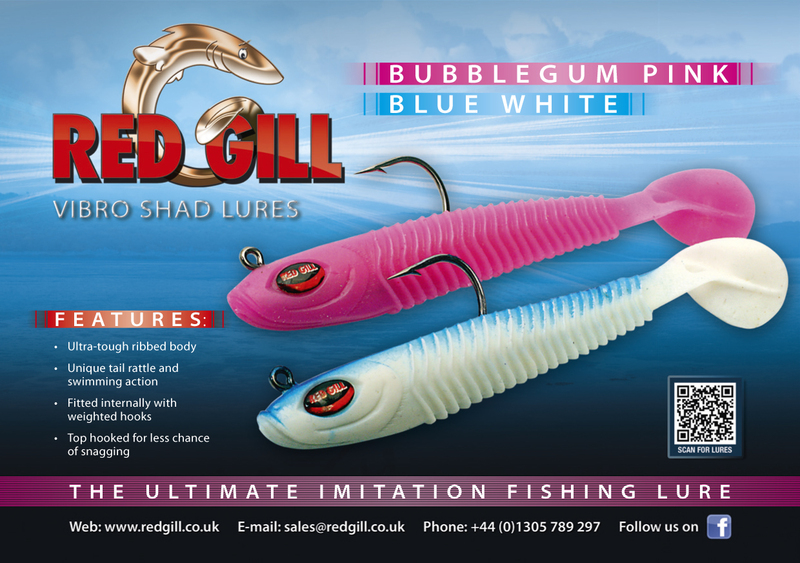 This style of fishing is an ideal opportunity for young anglers to enjoy great sport without having to master the complexity’s of fly fishing. 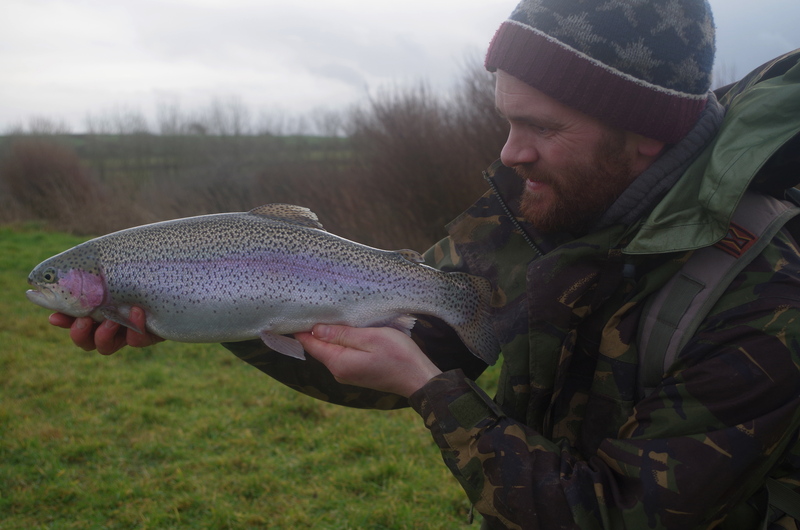 Fishery Manager Andrew Moore with a hard fighting rainbow tempted on LRF tactics. 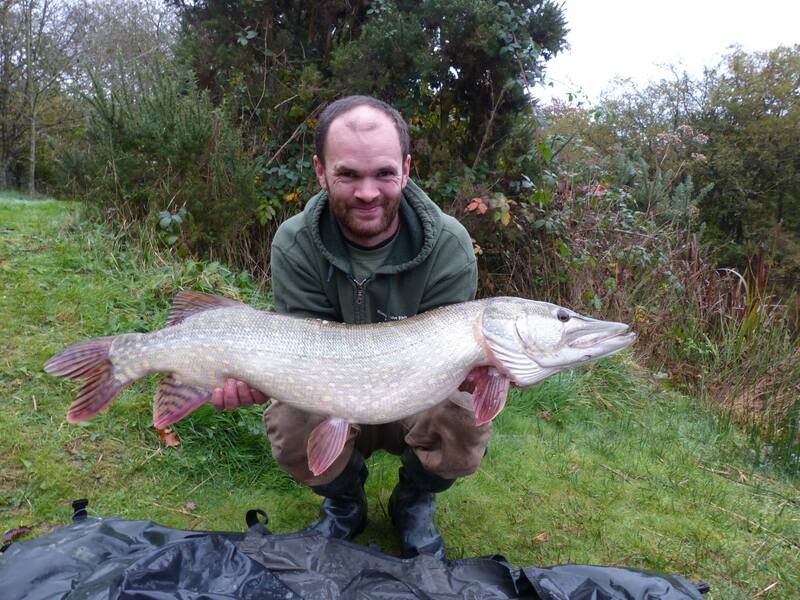 We returned to Mallard Lake after our informative chat with Andrew and once again set about tempting a pike with our Fly Tackle. 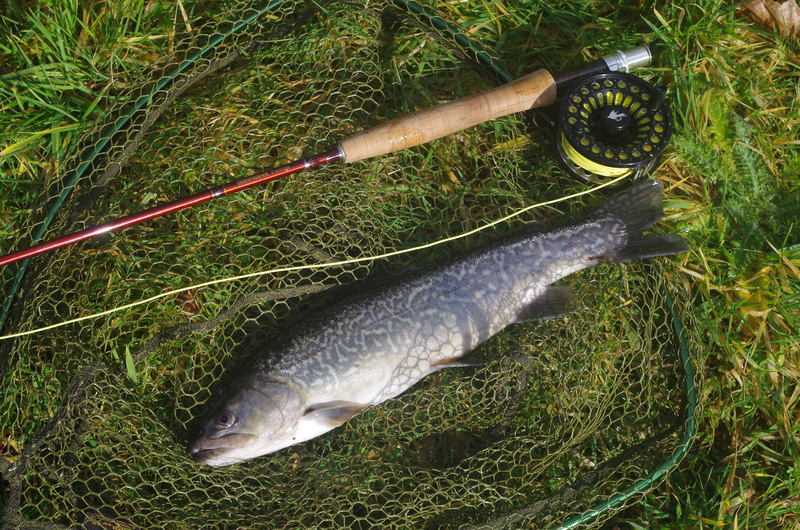 On two occasions I thought I had hooked pike but found that plump rainbow trout of close to four pounds had seized my four inch long pike fly! 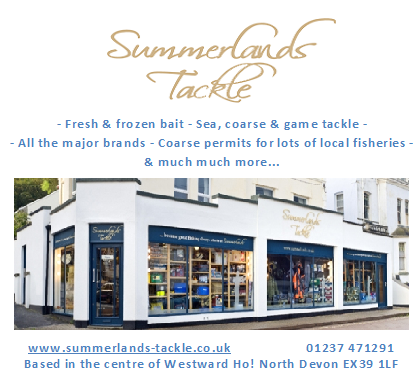 We will be back again and next time I may well sit it out with a dead-bait. If I don’t get sidetracked by trout or other species. 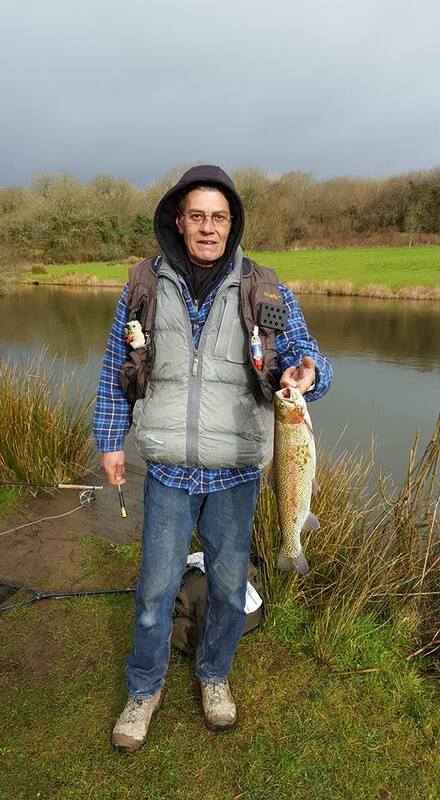 Jenny Wrens annual trout masters competition went well this morning despite the frequent heavy cold down pours of rain. 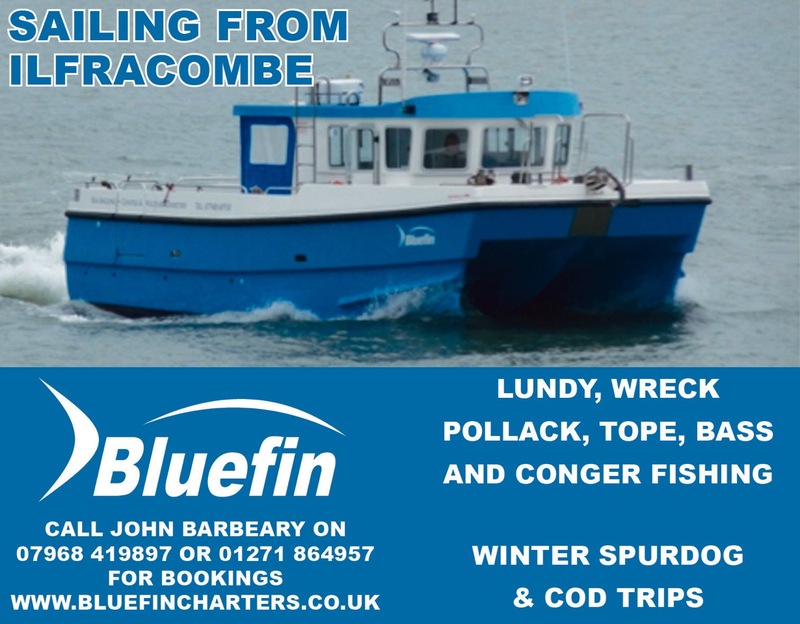 Attending this year was Terry Allcorn, Richard Cooper and brothers Mark and Richard Hopson. 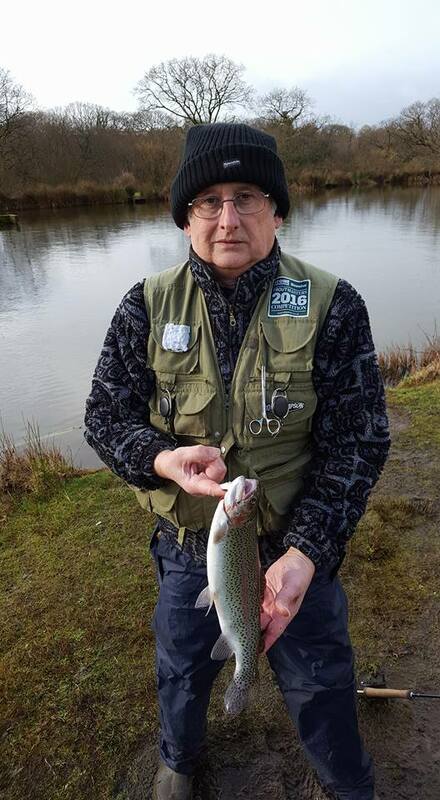 Fish came on the feed straight away with Terry kicking it off with a nice rainbow caught on a damsel nymph followed closely by Mark with another rainbow on a Montana. 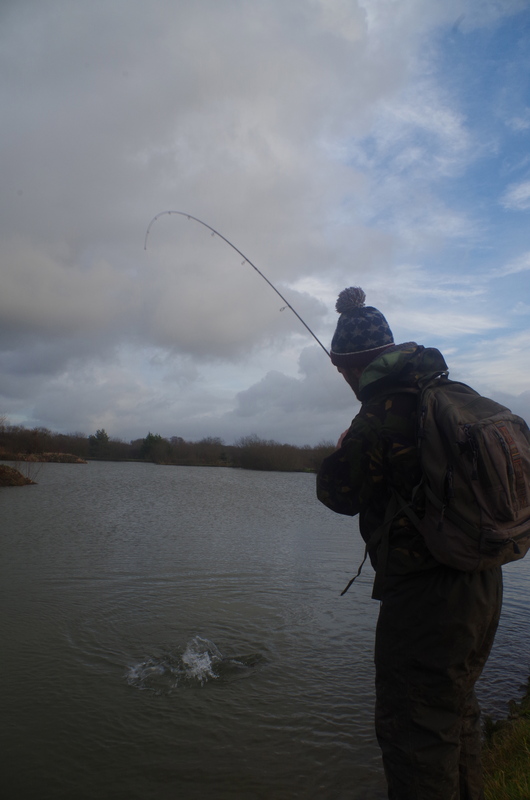 All anglers caught their 3 Fish bag limit by dinnertime and we’re glad to get out of the rain. 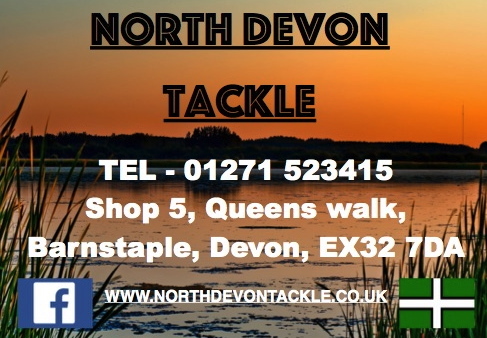 Winner this year was Mark Hopson from Barnstaple with a bag weight of 8lb 1oz who gets a place in the trout masters final at Draycote trout fishery this October. 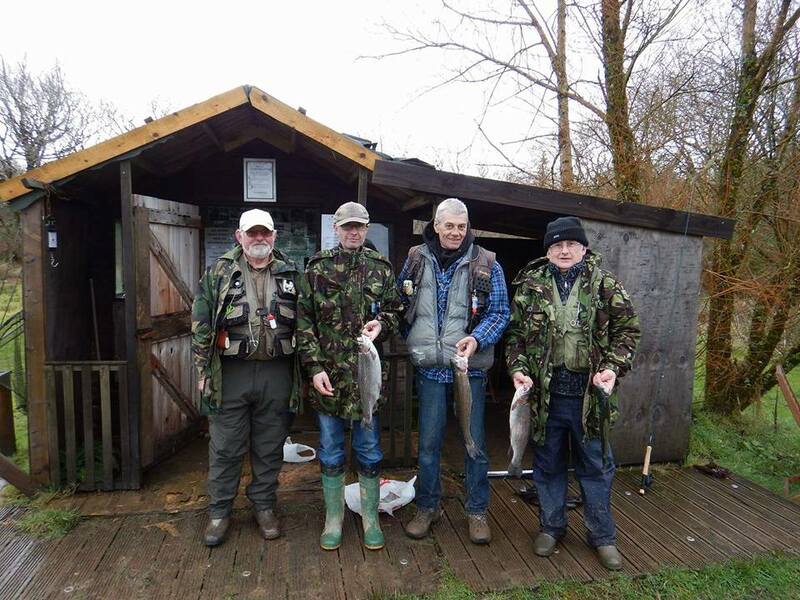 Runner up was Richard Cooper from Lyme Regis with 7lb 13oz followed by Richard hopson with 7lb 8oz then Terry Allcorn with 7lb 1oz. 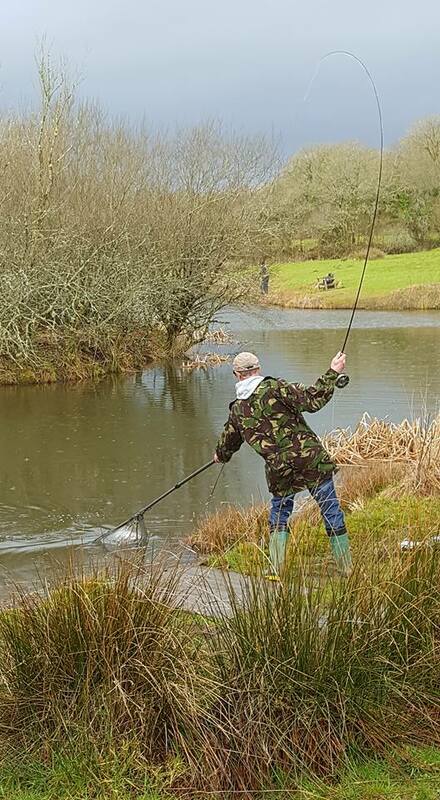 Well done to all and keep sending the trout masters tickets in for your chance of a monthly badge and a place in next year’s Fish offs.